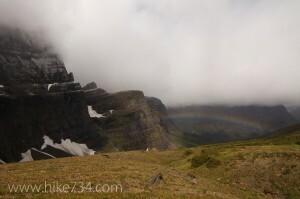 Piegan Pass is a great day hike that starts at Siyeh Bend east of Logan Pass on the Going-to-the-Sun Road. The trail is in the trees for the first two miles, but begins to break up into wonderful meadows that, when blooming, will take your breath away. At 2.5 miles, the Siyeh Pass Trail heads west while you continue north. The meadows give way to shale, while Piegan Mountain, Piegan Glacier, and Mt. Pollock dominate your view. At the pass, you can see down into the beautiful Many Glacier valley. 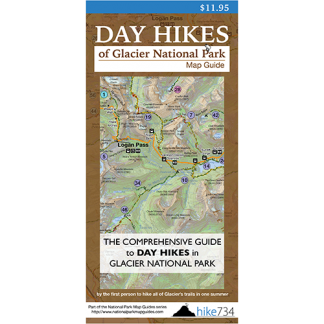 An alternate option for this trek is to hike down into the Many Glacier valley to the Many Glacier Hotel for an approximately 13 mile hike. Trailhead: Park at the Siyeh Bend parking lot, where the trail for Piegan Pass is clearly marked.